Nightlight’s Malawi program began in 2018. Malawi, a landlocked country in southeastern Africa, is defined by its topography of highlands split by the Great Rift Valley and enormous Lake Malawi. The lake’s southern end falls within Lake Malawi National Park – sheltering diverse wildlife from colorful fish to baboons – and its clear waters are popular for diving and boating. Malawi is often referred to as the “Warm Heart” of Africa. The fees for an adoption from Malawi are reasonable, and we estimate that the process will take approximately 2 to 3 years from application to completion depending upon the type of child you are seeking to adopt. Nightlight Christian Adoptions has partnered with a local non-governmental organization (NGO) in Malawi, providing care for abandoned and orphaned children. This organization also provides children with milk and necessary items while educating families on the care of their baby. Children in Malawi are often abandoned due to poverty related to social problems and the parents’ illnesses. Families traveling to Malawi to adopt their children will receive a full and final adoption decree from the Malawi courts. Nightlight is committed to helping families prepare for the adoption of children from Malawi by providing educational information on possible developmental delays and health issues. Malawi adoption is a wonderful program for families desiring to adopt children 18 months old and older. Children up to age 15 are available for adoption. Children living in poverty and raised in institutional care often have both developmental and emotional needs. There are also children available for adoption that have minor and correctable to moderate and severe special needs. Children who would otherwise have little hope for a future can have a better life with the emotional and physical security that a loving family can offer, along with the availability of excellent medical care in the United States. Most loving, stable families qualify to adopt from Malawi. However, certain factors could keep you from adopting in general or from Malawi in particular, as each country has its own rules as to who can adopt. 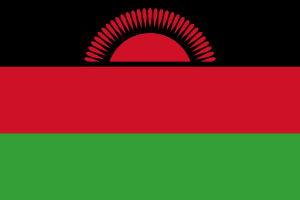 Malawi prefers adoptive families that have a connection to the country of Malawi. These families must be Christian families who attend church regularly. Before applying, please consult with Nightlight regarding any sensitive issues that may apply to you, such as a divorce, a mental health issue, or a criminal history. Once USCIS has approved your adoption home study, you will receive your I-171H pre-approval notice. Once you have accepted a match of a child, you will await a court date. The time frame to be assigned a court date varies greatly. Some families have waited as much as 12 months for a court date though others have only waited 2 or 3 months. Once you receive a court date you will travel to Malawi and meet your child face-to-face. You will attend court a few days later. You will then apply for your child’s passport and file the I-600 with the US Embassy. You will take your child to a US Embassy approved doctor for a final health visit. Return to the US Embassy for your final appointment, pick up your child’s visa, and bring your child home! This trip is expected to take approximately 3 to 4 weeks. You receive a referral of a child from Nightlight Christian Adoptions. The referral will include a brief social history of the child, the current health and development of the child, and lab test results for HIV. We highly recommend that you have this information reviewed by a doctor who specializes in international adoption before you make a decision. Once you decide to accept a referral, and have returned the commitment form, you will be considered “matched” with the child. Your dossier will then be sent to the attorney in Malawi. The attorney will put together information on the child’s file and add this information to your dossier to file with the court. Once you receive a court date, you will travel to Malawi. After the court order is issued, you will file your I-600 with the US Embassy and take your child for their visa medical appointment. Once these things are approved, the US Embassy will invite you to a final visa appointment. You will then travel home with your child. The adoption trip should be approximately 3 to 4 weeks long. The US Embassy reserves the right to investigate any I-600 application and the investigation can take up to 6 months. Within 30 days of your arrival home, you must have a home visit by your home study provider. Your home study provider will prepare three post-placement reports and submit them to Nightlight; one report will be completed after the home study provider visits your home within 6 months of your child’s arrival home and the others at 1 and 2 years after you arrive home with your child. In addition, you will be required to complete a self-report to be provided to the court every 12 months until your child turns 18 years old. These reports include your child’s developmental progress and pictures. This is a very serious commitment; Nightlight is committed to showing the Malawi government and birth families that children adopted by US citizens are healthy and well cared for. Therefore, Nightlight charges a fee to monitor and process these post adoption reports and also requires families to pay for the cost of the post adoption report in advance. The program fee for a Malawi adoption is $15,600. Additional estimated expenses including travel of $12,320 – $16,620 will bring the total cost to approximately $27,920 – $32,220. In addition, your out-of-pocket expenses may further be reduced if you receive scholarships or other employer-provided adoption benefits. For additional fee information, please see Exhibit A and A2. Please contact Lisa Whitaker at LisaW@nightlight.org or call our KY office (859-263-9964) with any questions. To learn more about our Malawi Adoption Program, you may contact us, call our KY office (859-263-9964), or directly email our Malawi coordinator, Lisa Whitaker, at LisaW@nightlight.org. Children will be 18 months and older.